Travelling on a special diet is not always easy. Even if your only special dietary requirement is to eat healthily, it is virtually impossible to retain control over what you eat and drink and what you pay for it when staying in hotels or relying on restaurants. Here are our tips and insights to help you stay sane! If you are vegetarian, have food allergies, are on a restricted diet or are diabetic, just getting your hands on food you can eat at the right time of the day can be a holiday-ruining marathon of epic proportions! Motorhomes to the dietary rescue! By hiring a motorhome for your trip you can avoid the culinary pitfalls that every other means of travel and accommodation will expose you to. Having a fully functioning, self-contained kitchen with a fridge wherever you go means that you can cater for any special diet you may have and eat inexpensively and healthily at the times that suit you and your fellow travellers. The fresh ingredients available across France from markets and supermarkets are a real inspiration so you’re bound to find new and exciting ways to accommodate your diet here. The added advantage of being able to buy everything at supermarket prices from basic raw ingredients to sophisticated wines means you can afford to use the best of everything, without breaking the bank or eating things you should avoid. But just because you have a special diet, don’t imagine that you have to turn into a galley slave for the duration of your trip. With some planning you can also eat out successfully in French restaurants without compromising your dietary choices and health. We’ve added some special diet vocab at the end of this blog to help you along. Lots of restaurants prepare their food from scratch, but often ahead of time. At short notice they may not be able to accommodate your diet, but if you give them a little warning by discussing your needs beforehand, you are much more likely to get what you want. If you just arrive without any advance notice, the staff will expect you to choose from the options on their menu and will be unlikely to accommodate any changes. So call in before and ask if they can cook something without a certain ingredient – they usually can and are keen to agree to do so in order to secure your booking. If you are vegetarian you will need to explain exactly what you do and do not eat. Many French chefs think that vegetarians eat everything apart from red meat and that it’s fine to use chicken stock to make vegetable soup! Vegetarianism is still unusual in France so it’s not very well understood or respected. Rather than spend your meal fuming over their mistakes, take the time to explain what you want. Get used to omelettes, they are a staple vegetarian offering, but also the best in the world (wild mushroom omelette is the best!). Note that most French cheeses include calf rennet, making eating out even harder. If you’re vegan, chances are you will fall even further in love with your motorhome than any other person as a French chef is very unlikely to be able to produce a decent meal without cheese, milk or eggs. Lucky for you that soy milk and tofu are now sold in larger supermarkets, as are tinned pulses and an array of bio veggie ready meals. The best mainstream restaurants for vegetarians and vegans in France are Chinese, Italian and Moroccan. There are vegetarian and vegan restaurants, they are just hard to find and often not open in the evening. The best source of info is the guide ‘Restos Veggie’ published by La Plage. If you cannot string a sentence together around the items you can and cannot eat, take photos of the relevant foods, with a big tick or cross beside them (this really does work!). Unless you spot something you can eat on their menu before going in, avoid ‘formula restaurants’ that are obviously part of a big chain as they are very unlikely to alter their menu choices for you. Whilst there is a great deal of very rich food in French cuisine, there is also a vast array of fantastic traditional dishes that are really healthy. If your aim is to avoid fat and cholesterol, head for Provençal- or Mediterranean-style restaurants which tend to use fresh, vibrant coloured vegetables and fish and offer dishes made with olive oil instead of cream and butter. In addition to restaurants that can accommodate you, there are other options to avoid making everything you eat yourself yet still have the pleasure of eating high quality food al fresco alongside your motorhome. Many bakers will bake you a gluten free loaf with a little notice and the “Traiteurs” (delicatessens that make their own ready-to-eat meals) will know exactly what the ingredients in each of their dishes are so can often sell you something suitable ready to heat and eat. Which dishes are vegetarian, please? Quels plats sont végétariens SVP? Could you prepare a vegetarian dish for this evening/tomorrow?… Pourriez-vous préparer un repas végétarien pour ce soir/demain? A final word…if your idea of a “special diet” is to indulge in the sublime-but-utterly-bad-for-you gourmet food that France has to offer, that is really easy to accomplish here! 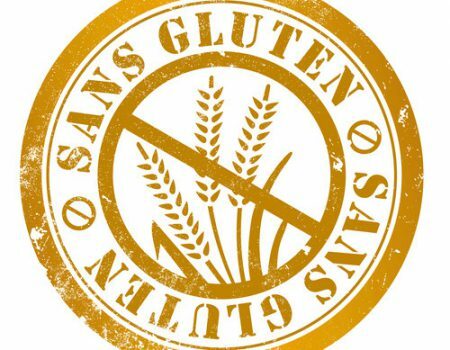 Is gluten-free in France possible?